Orville, approximately 31 kilometres south-west of Arras and approx 5 kilometres south-east of Doullens, is a small town at the crossing of the N.25 (Arras-Abbeville) and N.16 (Amiens-Dunkirk) roads. 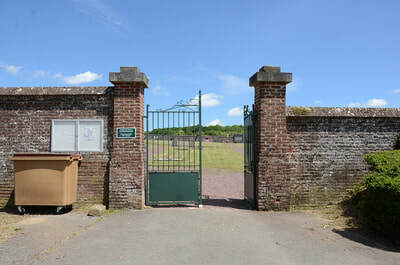 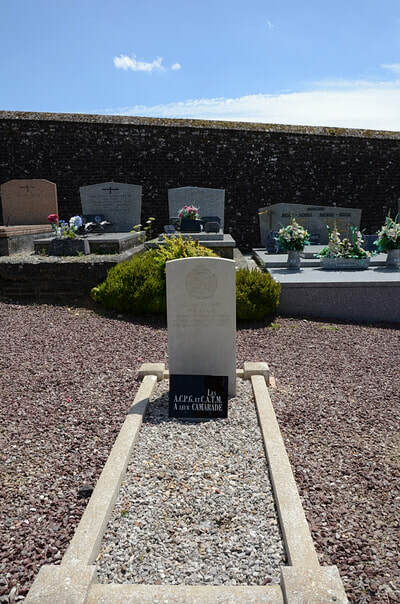 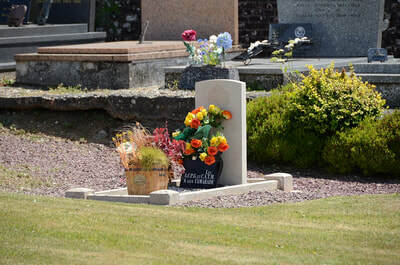 The communal cemetery is on the northern side of the village, in a by-road off the road to Amplier. 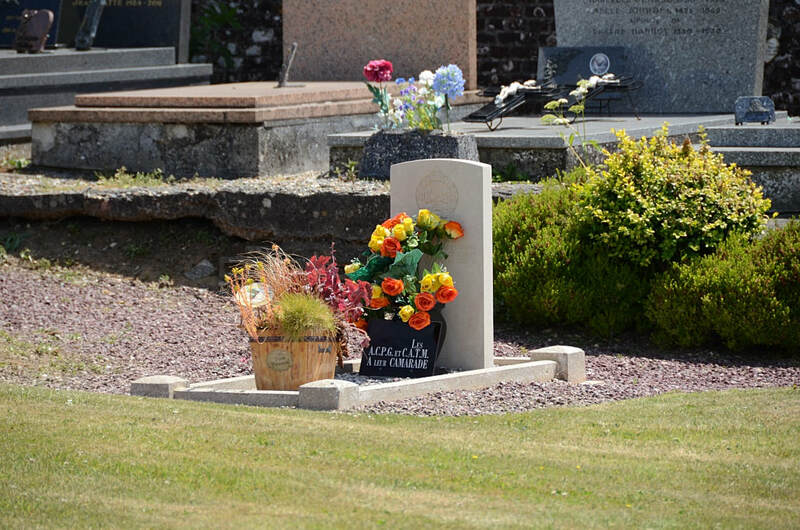 The one British grave is centrally situated, about 8 yards from the eastern boundary. 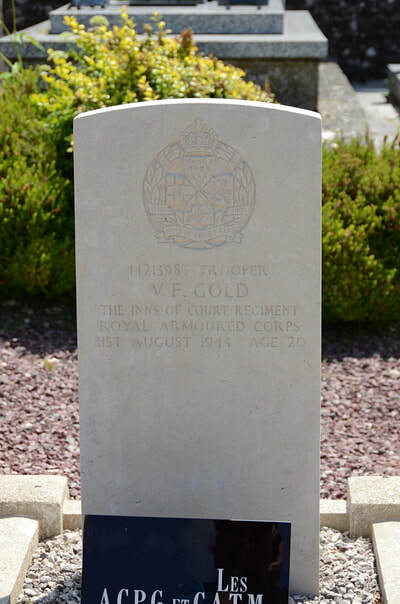 14213983 Trooper Vincent Fletcher Gold, Royal Armoured Corps, The Inns of Court Regiment, died 31st August 1944, aged 20.